Using or buying the services of EAN MARKETING SDN BHD ('PRINTPOWER' or 'PRINTPOWER.MY') indicates that you have read, understood and agreed to be bound by the terms & conditions as stipulated below. Prices posted on this website are subject to change without notice. Written estimates are good for 14 days. An estimate not accepted within 14 days may be changed. Unless otherwise clearly specified in our wesbite, no credit terms will be provided and all orders must be prepaid. We accept payment by cash or check only. If you would like to pay by a regular check, your order will not print until the check has cleared. This may cause a significant delay in your order. Under no circumstances will PRINTPOWER.MY provide COD terms on an order. PRINTPOWER.MY reserves the right to use its sole discretion in refusing to print anything it deems improper or known to be illegal. PRINTPOWER.MY is not liable for any damages resulting from unwitting violation of copyright laws or illegal use of trade names or slogans. The client guarantees the legal title of all matter submitted to PRINTPOWER.MY for printing and/or publication. The production of your printing order will start only upon receipt of full remittance from client. Under no circumstances will PRINTPOWER.MY will start your printing order production if you fail to pay PRINTPOWER.MY in full amount. All artwork submitted must meet the guideless as set forth by PRINTPOWER.MY. Files which do not meet these requirements will be rejected or corrected at PRINTPOWER.MY's discretion. Time spent for correcting or conforming improper artwork will be billed at the current rates. Please refer to the Preparing Your Artwork section of this site for more information. Quotations are based on the accuracy of the specifications provided. PRINTPOWER.MY can requote a job at the time of submission if the art does not conform to the information on which the original estimate was based. Orders placed with PRINTPOWER.MY are to the client's knowledge correct, and there are no conditions or agreements relating to the order which are not written or accompanying said order. Turnaround estimates begin after the proof is approved and arrives at PRINTPOWER.MY with the customer’s signature. Because of differences in equipment, paper, inks, and other conditions between color proofing and production pressroom operations, a 'pleasing color' variation between color proofs and the completed job [as determined by generally accepted trade technical methods] is to be expected. When such a variation occurs, it will be considered acceptable performance. Inkjet and laser prints are known to look substantially different than offset printing. 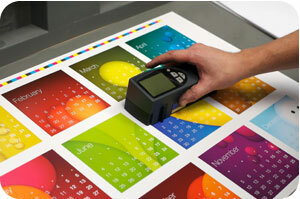 We offer quick turnaround and low prices by printing to a 'pleasing color' standard, using standard ink densities. There is no guarantee that your finished piece will match your printed sample. This is due to the varying results from different output devices including inkjet printers, continuous tone proofing devices, and film-based proofs. PRINTPOWER.MY shall have the right to assign any portion of the work required to another contractor. We guarantee all orders to be free of defects in workmanship. If any order does not match the generally accepted trade standards, we will reprint the order at our discretion. Charges for delivery of materials and supplies from the client or the client's supplier to PRINTPOWER.MY are not included in quotations unless specified. PRINTPOWER.MY is not responsible for delays and/or damage incurred during shipping. Title for finished work passes to the customer upon delivery to the carrier at shipping point; or upon mailing of invoices for the finished work or its segments, whichever comes first. Cancelled orders require compensation for incurred costs and related obligations at the time of cancellation. Due to our company procedures, you may only cancel a job the same business day you place your order. A minimum charge of $100 is applied to jobs canceled before our evening cutoff time of 2 PM. A minimum charge of RM100 is applied to jobs canceled before plating occurs. No refunds will be given for orders canceled after the plating process. Claims for defects, damages, or shortages must be made by the client in writing no later than 3 business days after delivery. If no such claim is made, PRINTPOWER.MY and the client will understand that the job has been accepted. By accepting the job, the client acknowledges that PRINTPOWER.MY's performance has fully satisfied all terms, conditions and specifications. It is the client's responsibility to maintain a copy of the original computer files, artwork and transparencies. PRINTPOWER.MY is not responsible for accidental loss or damage to media supplied by the client or for errors on supplied artwork furnished by the client. Until PRINTPOWER.MY can evaluate digital input, no claims or promises are made about our ability to work with jobs submitted in digital format, and no liability is assumed for problems that may arise. Any additional translating, editing, or programming needed to utilize client-supplied files will be charged at our current rates. PRINTPOWER.MY does not archive your work for longer than it takes to produce the final product. Please save your work! PRINTPOWER.MY may use your product for samples or advertising purposes, unless notified in writing of its inability to do so. In the event of a written notice, PRINTPOWER.MY will cease its usage of your product within 30 days of receipt of the notice. Any usage of the product for samples or advertising purposes prior to the receipt of the written notice will be deemed as acceptable. WE EXPRESSLY DISCLAIMS ALL WARRANTIES OF ANY KIND, WHETHER EXPRESS OR IMPLIED, INCLUDING, BUT NOT LIMITED TO, THE IMPLIED WARRANTIES OF MERCHANTABILITY, FITNESS FOR A PARTICULAR PURPOSE AND NON-INFRINGEMENT. SERVICES ARE PROVIDED ON AN 'AS IS' AND 'AS AVAILABLE' BASIS. WE MAKE NO WARRANTY THAT ITS SERVICES WILL MEET YOUR REQUIREMENTS, OR THAT THE SERVICES WILL BE UNINTERRUPTED, TIMELY, SECURE, OR ERROR-FREE, OR THAT DEFECTS WILL BE CORRECTED. BIGPRINT DOES NOT WARRANT, NOR MAKE ANY REPRESENTATIONS REGARDING THE USE, OR RESULTS OF, ANY OF THE SERVICES IT PROVIDES, IN TERMS OF THEIR CORRECTNESS, ACCURACY, RELIABILITY, OR OTHERWISE. IN NO EVENT SHALL BIGPRINT BE LIABLE TO YOU OR ANY OTHER PERSON FOR ANY INDIRECT, INCIDENTAL, CONSEQUENTIAL, SPECIAL, EXEMPLARY OR PUNITIVE DAMAGES, INCLUDING LOSS OF PROFIT OR GOODWILL, FOR ANY MATTER, WHETHER SUCH LIABILITY IS ASSERTED ON THE BASIS OF CONTRACT, TORT (INCLUDING NEGLIGENCE), BREACH OF WARRANTIES, EITHER EXPRESS OR IMPLIED, ANY BREACH OF THIS AGREEMENT OR ITS INCORPORATED AGREEMENTS AND POLICIES, YOUR INABILITY TO USE THE SOFTWARE OR SERVICES, YOUR LOSS OF DATA OR FILES OR OTHERWISE, EVEN IF BIGPRINT HAS BEEN ADVISED OF THE POSSIBILITY OF SUCH DAMAGES. To the fullest extent permitted by law, you agree that in no event shall our maximum aggregate liability exceed the total amount paid by you for the services in dispute purchased from us. PRINTPOWER.MY may change, modify, add or remove portions of this policy at any time, and any changes will become effective immediately upon being posted unless stated otherwise. This policy was last revised on November 18, 2008. We welcome anybody to contact us if you have any enquiry or comment regarding our terms & conditions.